I began the week by collecting a bunch of different data sets about myself: my Apple Health data, my Google Export, and my iMessage history. The google export was terrifying. I was able to find a fairly detailed history of my google maps usage, as well as my youtube history going back 8(!!!) years. 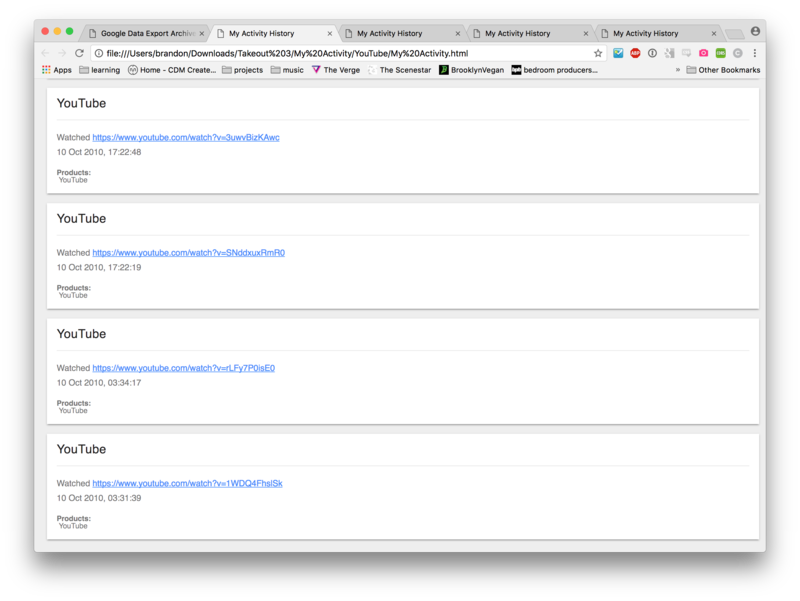 My Apple Health data was also intriguing, though not as readable as the google history (it’s in a massive XML file). One thing I did find was my meditation sessions from when I used headspace. I isolated that to ~800 some sessions and that could be worth mining. But my iMessage was the most fascinating. 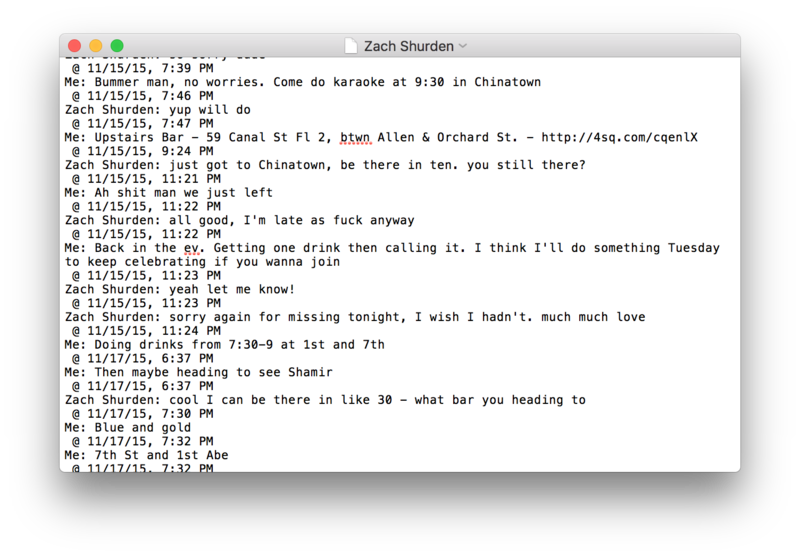 I found a project called Baskup that gives you text transcripts of all your iMessage convos. After doing some contact syncing, it worked perfectly and was kind of bizarre. There were all my messages, with friends current and former, laid out for me to read through and remember. I picked out a few to glance through and the experience was both fascinating and uncomfortable. My next step will be to analyze it in terms of time. I started working on a regexp to get the timestamps out, but need to do some more thinking on how I will organize the data. How do I experience time / what is my rhythm? What do my texts say about various relationships?